When Italy is at its best it’s a combination of beautiful landscapes, a living history stretching back centuries or even millennia and people with passion who actually care about what they do, whether it’s furniture, fashion, cars or food. Lake Como, an upside down Y-shaped lake situated north of Milan on the north western border of Italy, is just like this. 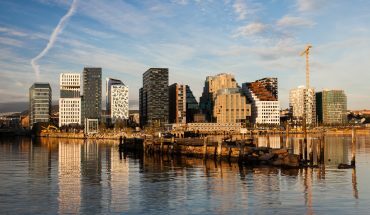 The lake offers a perfect combination of the fjords of Norway with the relaxed feeling and comfy food that represents Italy. Lake Como is surrounded by high mountains which abruptly drop into the lake, just like the fjords in Norway create magnificent landscapes. The high mountains can provide for quickly changing weathers, with sun and clear skies during daytime and thunder and lightning storms in the afternoon. 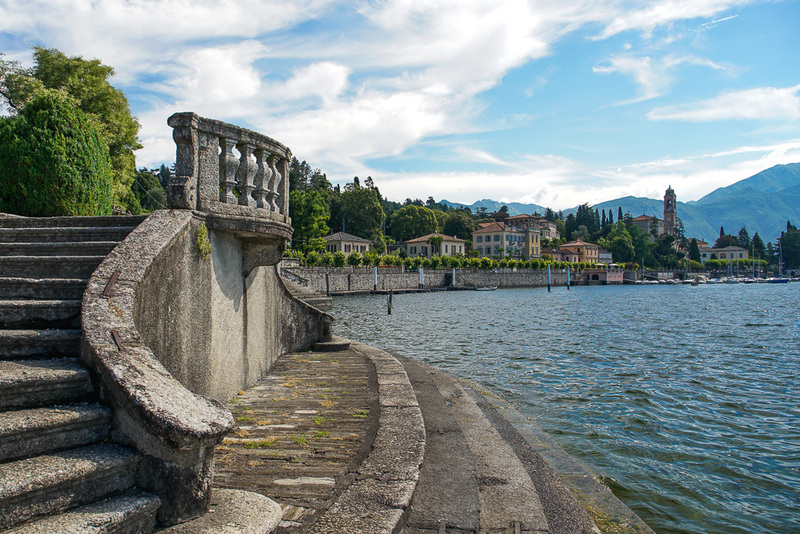 It’s almost impossible to find an article about Lake Como that doesn’t mention George Clooney – and we fall into this trap as well – who has a summer residence here. It was also an important film location for James Bond in Casino Royale; Villa La Gaeta where he shoots Mr. White at the end and Villa Balbianello where he recuperates after being tortured (which was also used for the wedding between Queen Amidala and Anakin Skywalker in Star Wars Episode II: Attack of the clones). So, there are some opportunities for sightseeing but Lake Como is worth a visit for so many other reasons that this really doesn’t matter. 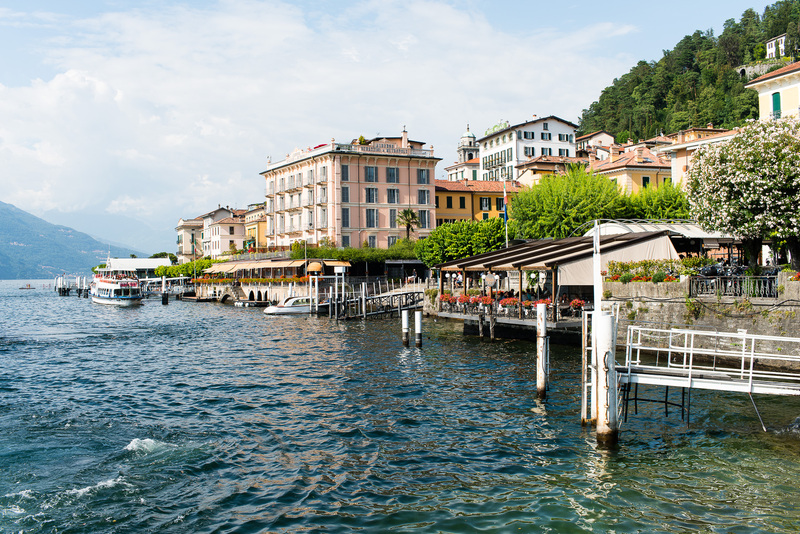 Flying to Milan and renting a car is a good travel option for vacationing at Lake Como. It’s just a 1-hour drive to get to the south parts of the lake, but then you have to add up to an hour more depending on how far north along the lake you’re staying. There’s a highway along the east side of the lake, and even though it’s faster we recommended to take the west road, as it will keep you closer to the lake while driving in and out of the small villages. Lenno, Tremezzina, Cadenabbia and Menaggio are all close to each other on the western shore where the lake splits into its two legs. This part is archetypical for the area with it’s steep slopes and historic developments. They are connected to Varenna, the oldest town in the area, and Bellagio, the most upscale town, through ferries. Bellagio is of course the inspiration for the namesake casino resort in Las Vegas. Further south is Como and Cernobbio with its Villa d’Este, the hotel known among other things for hosting the Concorso d’Eleganza Villa d’Este where both the very finest classic cars as well as current concept cars competes in a beauty pageant in late May every year. Lake Como has been a stronghold for the rich since Roman times and this can be seen everywhere. It’s not only evident in the magnificent villas, their gardens and the Grand Hotels, but also small things like the miniature parks, small docks and balconies along the shores. While grounded in history and “the real deal” from which so many houses and locations has been modeled, it’s still a tourism destination just as it has been for centuries. The area is situated close to the Swiss border, so close in fact, that if you’re not paying attention when passing Como on the way north, you might accidentally end up in Switzerland if you miss a turn. 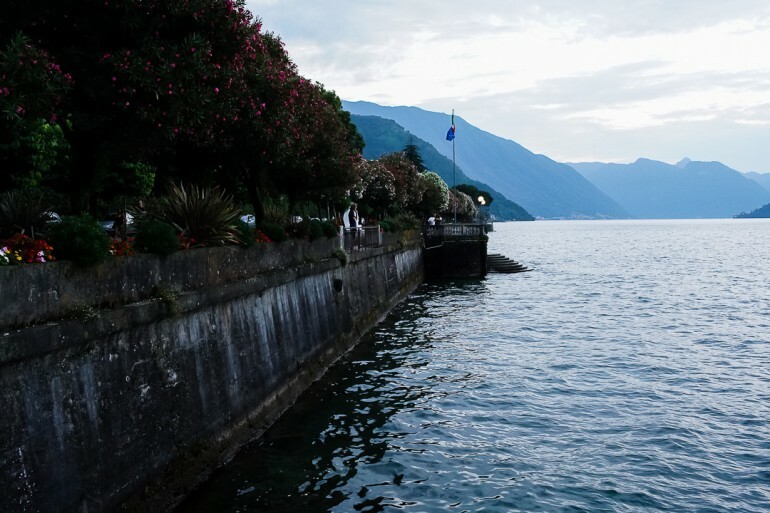 Even if Switzerland is not the goal of a trip to Lake Como, it provides for an excellent day trip when you need a break from sunbathing and eating pasta. From Menaggio it is about a 2-hour drive to St. Moritz, where you can see green Alps full of flowers during the summer. The Italians are known for food and are blessed with a climate that supports extraordinary vegetables and fruits. With the historic and current clientele you’d think that there was an abundance of great restaurants in the area. While the streets along Lake Como are filled with restaurants they all serve more or less the same things; pastas, pizzas, risottos and the local speciality Cotoletta alla milanese. Some will be better than others though, so try different ones if you’re staying for several days, or do a quick research if you’re looking to eat a finer meal. There certainly are really good places in a variety of price classes, but the difference is quite startling. 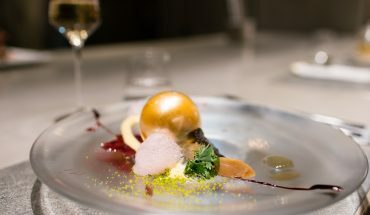 Especially worth mentioning are La Darsena (Tremezzina) and Bilacus (Bellagio) for a cozy night out and Ristorante Belle Isole (Cadenabbia) for very good standard fare. We’ve listed all of our top tips in the Lake Como travel guide. A good way to explore the lake is to hike the Greenway del Lago, starting in Colonno and then continuing to Griante along the western shore. Take the bus to Colonno, walk up the steep road to the right and then follow the metal signs on the pavement through a string of ancient villages and towns. It really makes you understand how historic this district is, but also how alive it still is today. The hike, or walk, is around 10 km and will take three and a half hours at a leisure pace. While walking past Lenno you can turn off the path and go out on a small peninsula to Villa del Balbianello (the one known from Casino Royale and Star Wars), which has a park and museum dedicated to the explorer Guido Monzino, who was the last owner before donating it to the National Trust of Italy. Also suitable for a little break is the small but beautiful park Parco Meyer just south of Tremezzina where it’s possible to use the stairs down to the lake for a quick swim. 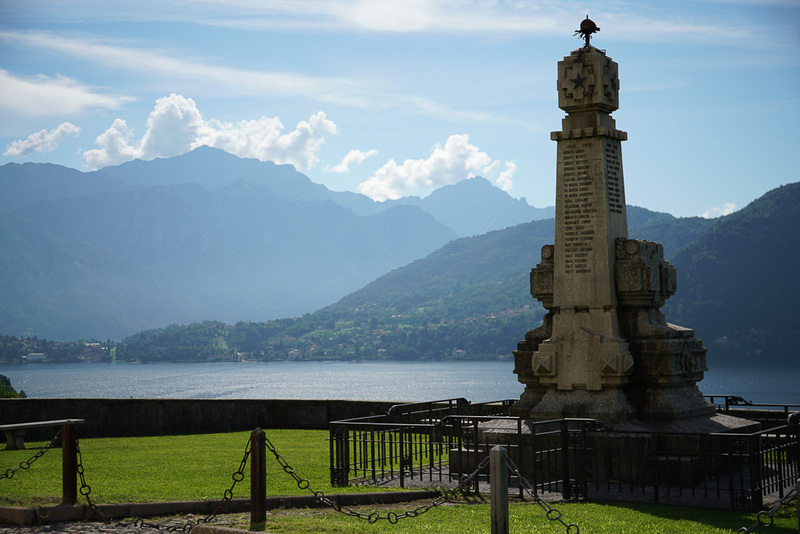 If you have time and the end of the hike, you may also want to stop by Villa Carlotta for some further historic input. The villa was built in the late 19th century and the museum holds both some furniture of the era as well as paintings and sculptures, but what really makes this worth a visit is the garden. From a rainforest valley to a bamboo area, this garden is bigger than you might think from the outside and is absolutely lovely to walk around in and provides for a perfect ending to Greenway del Lago. 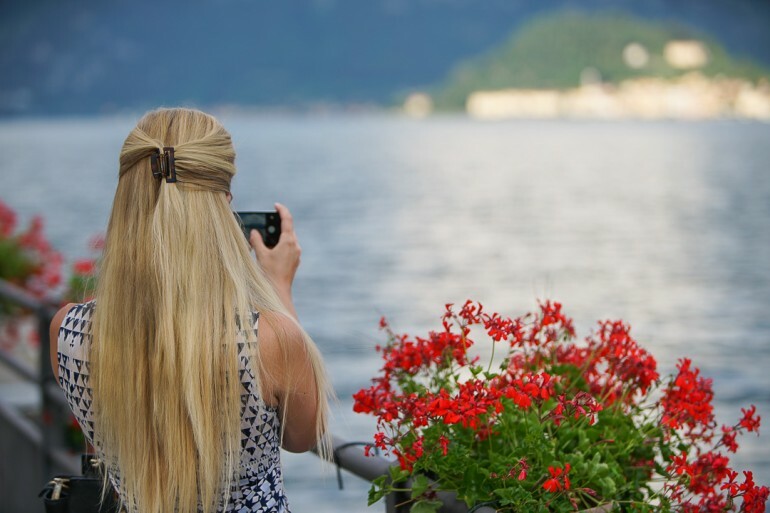 Lake Como and the surrounding area is really enjoyable and it’s not hard to see how it’s been a popular vacation destination for centuries or even millennia. While you’ll get to see lots of nice cars, grand hotels and impressive villas, you don’t have to spend a lot of money for a great experience. Once you’re outside your hotel room you’re on equal footing with everyone else and even the better restaurants are quite reasonable. There are quite a lot of tourists and most of the towns are catered mainly to them, but there are no big crowds which makes it manageable. The combination of relaxation, spectacular nature, comfy food, a living history and being partly secluded from the outside world, but yet being close, makes it unique as a destination. 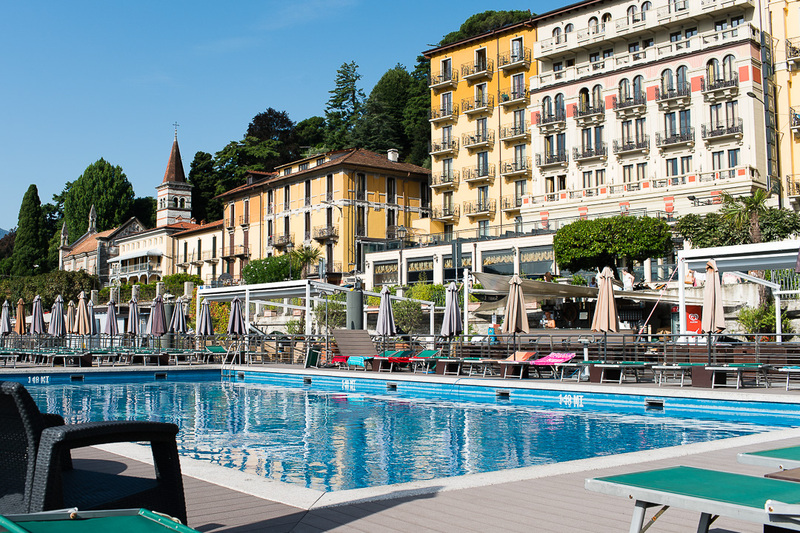 For more details on hotels, restaurants and more, see our Lake Como travel guide.